Where was this video 8 months ago when Windows 8 launched? This should be shown on every Windows 8 PC the first time you boot it up. It answers so many questions people have had for so long about Windows 8. The other day someone asked me how to accept a new contact request in Skype for Windows 8. I remember struggling with this, and remembered the final answer was really stupid, but I was stumped. Ready for the answer? It was painfully obvious once I realized what my eyes were glossing over. Look above. In the 2nd column, on the first screen you see, you will see your recent activity. What’s there? Oh, look, a friend request. Wow, it really is that simple. People still ask what if it does not show in your Recent Activity on the main page? Simple – right click! Or, if you’re using a touch screen, swipe down from the top. A menu will drop down from the top of the screen. There you can scroll side to side through your recent items until you find the friend request you’re looking to accept. Where are my regular Desktop programs Windows 8? So you’re in the Windows 8 “Desktop Mode” – because the Start Screen just doesn’t feel right. You installed a few programs, but with no Start Menu – you can’t find them! Sure you can try to browse using Windows Explorer and find you way in to program files, but that’s just not what you want to do. So where are the desktop programs? Well, good and bad news. The good news is they’re easy to find – the bad news? They’re in the new Start Screen. Go ahead, put your mouse down in the lower left-hand corner of the screen, or press the “Windows Key” on your keyboard, and scroll all the way to the right. There are probably several small, not exciting icons. Those are your Windows desktop applications. 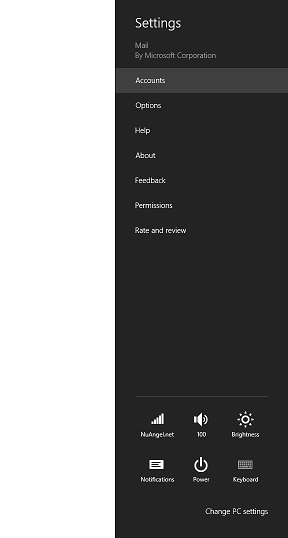 “Apps” you install from the Windows 8 App Store get live tiles, and are different sizes and more bright and vibrant. 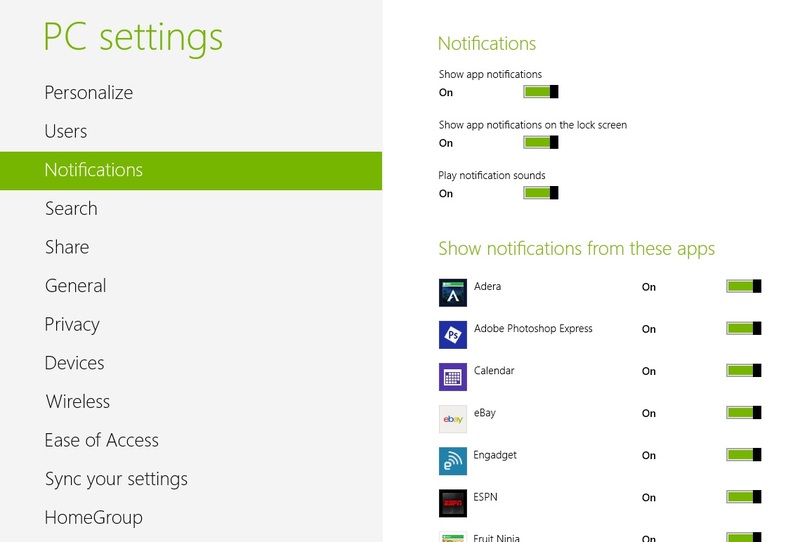 Most normal applications that would put a shortcut in the Start Menu are going to also create an icon here. If it doesn’t? You’re not out of luck. If you have the Start Screen open, just start typing the name of the program! You can also move the mouse to the right side of the screen or press “Windows Key + C” to bring up the “Charms” bar and begin searching. As you can see in my screenshot above, I installed a program called Handbrake – and in order to find it in the Start Screen, I just started to type – and sure enough it showed up in my list of “Apps.” The same goes for my installation of Office 2010 programs, and other applications like Steam and games installed like Half-Life! If you’re looking for something like how to pick and choose your Windows Updates, you can search for Windows Update, then click Settings on the right side of the screen and then click on the icon to Install Optional Updates. Posted in From the Help DeskTagged Windows 8Leave a Comment on Where are my regular Desktop programs Windows 8? Hey everyone – sorry for the lack of news lately, I’ve been enjoying a brief holiday vacation. But I wanted to get back to the grind and give a word of advice to new Windows 8 users. I’ve already seen interest in the App Store on Windows 8, but people are asking “if I buy a game or app on one computer, do I have to buy it on another?” You’ll be thankful to know that, no, you don’t have to spend your money over and over for apps you’ve already purchased in Windows 8. This holds true as long as you use the same Windows Live ID / Microsoft Account on each of the computers. If, for some reason, you have used different Microsoft Accounts, then the Store cannot see your purchases and synchronize them. Buy once, download many! It should be noted that apps of the same title that have been purchased on other platforms, such as Windows Phone 7 or Xbox 360, do not transfer. 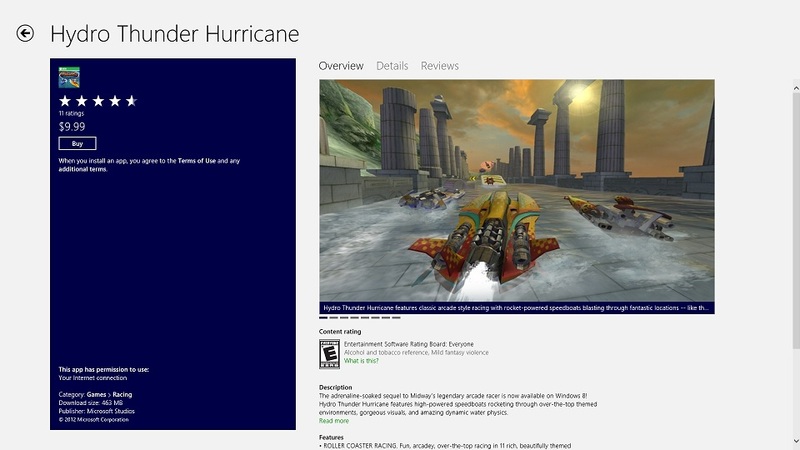 This was a bit of a let down, as my quest to have this question answered began with the game I show in the video, Hydro Thunder Hurricane, which I already own on Xbox 360 (along with Hydro Thunder Go on WP7). Here’s hoping that, eventually, this will all be a thing of the past, and I will finally begin to grow a catalog of applications – but at least you can rest easy knowing that you won’t have to spend a fortune getting apps on both your “work” and “play” computers! Should I buy Microsoft Surface now, or wait? When rumors leaked of the prices for the Microsoft Surface around October 18th, I wasn’t thrilled. It was a little higher priced than I had originally hoped, but I had been setting aside cash with every intention of getting one “no matter what.” The thing is, I’ve known what I was getting in to. So here is what you need to know. 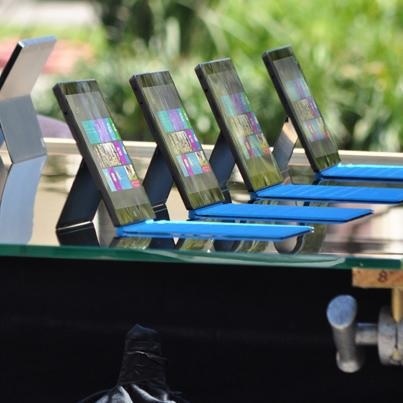 If it looks like Windows 8, and moves like Windows 8… it may not be Windows 8. Microsoft’s Surface that was made available in October is technically called “Microsoft Surface with Windows RT.” This device, while touting a full desktop-like experience, is limited to running apps from the Microsoft Store, found on the Start Screen. While I have no doubt that an eventual “Jailbreak” will be developed, there will still be problems with application compatibility. It is important to understand that the Microsoft Surface, and, in fact, any Windows RT tablet, can not run your traditional 32 or 64-bit Windows applications. The ARM processor requires software developers to do things differently than they would on traditional x86 architecture. Just the way your PC and your Mac can’t run the exact same programs, the same holds true for Mac OSX and iOS, Android, and even ChromeOS… each one requires special attention. Windows RT is no different. What does this mean for you? A lot of applications you know and love aren’t going to be available. Are you a business person who needs Quickbooks? Too bad. Are you a gamer wanting to play some Diablo III? Outta luck. Need to Sync with iTunes? You’re out of luck. This is where Microsoft has failed, this time around. While Windows RT shines with hardware compatibility, the software is clearly lacking. 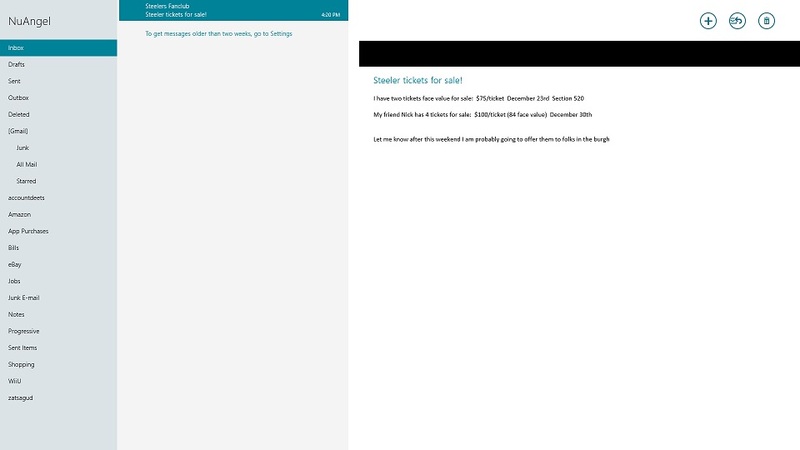 So eager to get people to buy their products, they haven’t made clear the distinction between Windows RT and Windows 8. And I don’t anticipate your normal big-box retail sales-person to be the one correcting you. What I describe above? Knowing that a lot of familiar programs just won’t run on Windows RT? THIS is the crux of the problem. No, don’t ask. Don’t even give me, “yeah, but what about… Outlook, Publisher, VPN Clients, Peachtree, Firefox, WinRAR, µTorrent… NO. They just don’t run. You need to know, without a doubt, that the Surface RT is designed to compete with the iPad and Android tablets – it is built new from the ground up. As such, it’s going to take time to get good applications, and that time is something many people don’t want to give up, waiting. 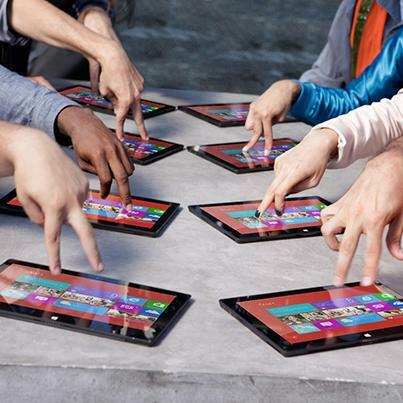 Surface Pro – a Microsoft made Windows 8 Tablet, NOT a Windows RT tablet, is supposed to be released this January or February. As of right now, there’s no such thing, especially not one directly from Microsoft. So if you’re looking to replace your laptop? Hold on. If you’re looking to have a nice portable and well-rounded alternative to an iPad? Look no further. If you’re hesitant, you should be. I would wait for the Surface Pro in the Spring – but start saving now, it will undoubtedly carry a 4 figure price tag. Posted in Personal ThoughtsTagged Windows 81 Comment on Should I buy Microsoft Surface now, or wait? When I unboxed the Surface RT, it was a thing of beauty. I clicked my Touch Cover on and away I went. I was surprised at how quickly I was able to adjust to typing on it. So let’s start there.